Yes.....breakfast was the usual (multi grain english muffin with one tablespoon Barney Butter and a half cup of strawberries). I did not take a picture because it looks the same as all the other ones. I'm so sorry to bore you but I just love peanut/almond/Barney butter and need to have it every day. 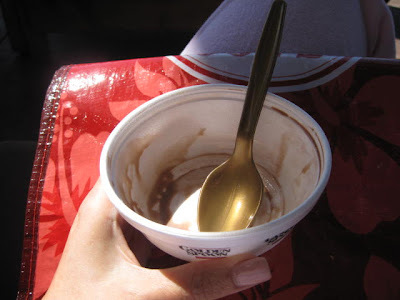 I read on another blog that this obsession has a name: The PB's (peanut butter). I have the PB's all the time!!!! Good to know I'm not alone. What are you obsessed with? After dropping the kids off at school, I went to spin class. I was the only one there (we have a small gym) so I decided I wanted to do half spin, half weights. I forgot to mention that my heart rate monitor pooped out. So I ordered this one. I'm so excited...it has GPS so I'll be able to track my run distance/time/etc. Gosh, I'm boring lately. Sorry....I will definitely make up for it this weekend with my Vegas/Los Angeles posts. I'm sure there will be some good looking food in my future! 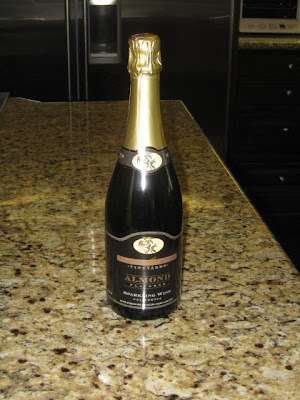 The hubby is at a work dinner so I decided to see what I can get rid of in the fridge. 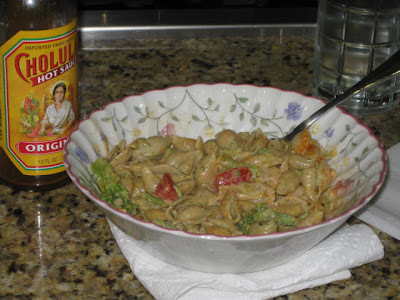 I went for the mac and cheese leftovers (whole wheat macaroni shells, cheese, broccoli and tomatoes) that I made on Saturday. I poured the last of the Cholula over it and it was delish!! Don't worry....I have a Costco two-pack of Cholula waiting for me in the wings! 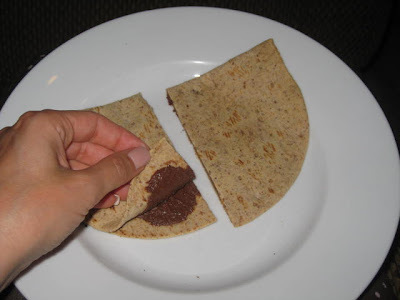 Right before putting the kiddos to bed, I made a "quesadilla" using my beloved Flat Out Wraps with a couple of tablespoons of Dark Chocolate Dreams inside. I put it in a pan to warm it up. Mmmmmmm......sweet dreams it is! 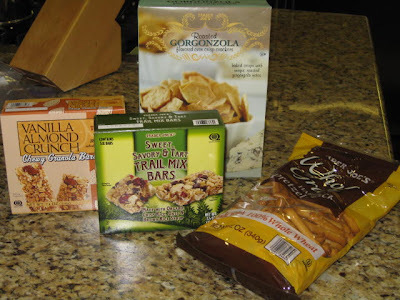 Haha this post has SO many things that I love: Golden Spoon, Almond Champagne (haven't had either one of those in WAYY too long), Trader Joe's goodies, and Cholula hot sauce! My boyfriend's mom just bought him the 2-pack from Costco too, and we are going through it FAST. 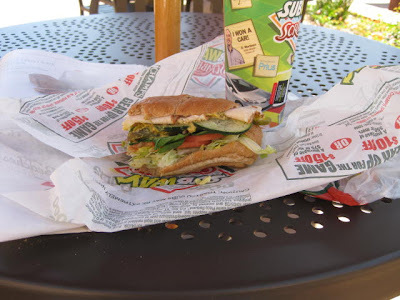 I could serisouly eat Subway everyday, I love it SO much! Ah you keep posting that Almond Chanmpage...I think I might have to go pick some up!